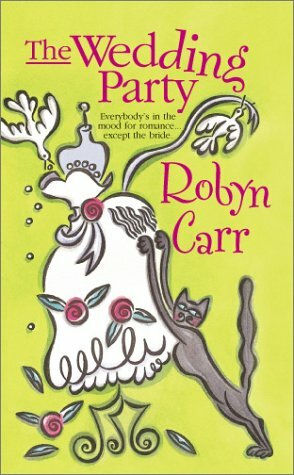 by Robyn Carr | Literature & Fiction | This book has not been rated. Her daughter announced she doesn't want to "end up like her"
Now her decision to utter those three little words -- let's get married -- has everyone around her in a tailspin. The maid of honor is in a tempest over a man of fifteen years her junior. Her daughter, the official bridesmaid, has decided to reinvent herself. The groom is spending all of his free time with the wedding consultant. And her ex-husband, a man who still drives her crazy, is making some pretty convincing arguments for a second chance. The wedding party is out of control, they're calling for rain and the bride has cold feet. This isn't exactly what Charlene had in mind. Left in the lounge to the right of the entrance. If you don't see the books on the tables, look on the shelves...that's where the ones I left last week are. It took me a while to get into this book...in the end I enjoyed the story.